I'm very excited to announce that I will be hosting a Fashion Event at Talbots this Saturday! Get personalized hair consultations from Hair by Benny and Friends. Get fabulous personalized consultations for your derby hat by Dee's . Enjoy refreshments while you shop, and get tips from Talbots' Client Specialists. 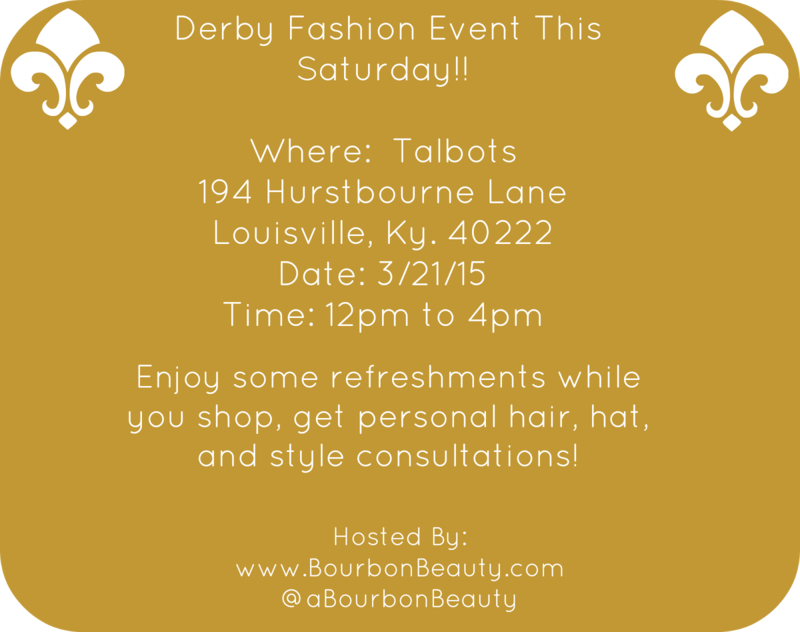 Enter Talbots' raffle for a chance to win a gift-card & tickets to the Kentucky Derby Museum! Also, for my readers, Talbots is offering a special coupon! Stop by the event, and mention my name to get 20% off of your purchase of $100.